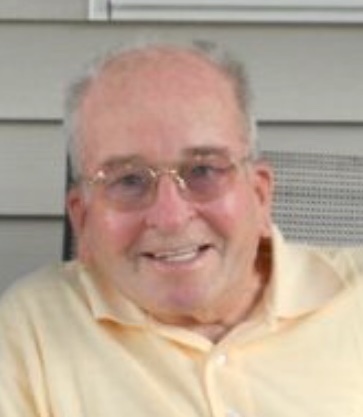 Raymond H. Carlson 91, of Riverside, RI passed away on November 27, 2018. He was the husband of the late Eunice M. (Kingman) Carlson. Born in Providence, RI he was the son of the late Ernest L. and Anna (Engstrom) Carlson. Raymond was a tool maker for Spidel Watch Company for many years. He was a Navy Veteran during WWII. He was a member of the American Legion and the Machinist Union. Raymond leaves two sons, Clinton R. Carlson of Riverside, RI and Alan Carlson of Florida, one daughter, Holly Carlson of Oregon and one brother, Kenneth Carlson of East Greenwich, RI. He also leaves two grandchildren and two great grandchildren. Visiting hours will be held on Wednesday December 5, 2018 from 4:00-7:00 PM in the Smith-Mason Funeral Home, 398 Willett Ave, Riverside, RI 02915. Burial will be private.